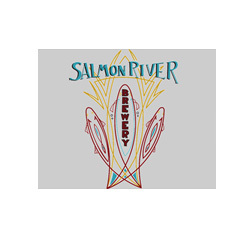 Salmon River Brewery is a partnership between 2 married couples: Matt & Jennifer Hurlbutt and Matt & Ellen Ganz. Their vision was to create excellent craft beer and serve it in a fun and comfortable atmosphere where local residents and visitors alike can feel right at home. Beyond striving to provide excellent customer service, the owners want to be an active and valued member of the community, emphasizing environmental conservation and use of local products at SRB. Since opening the brewery, the owners have been too busy brewing beer and serving customers to write down the full story of building and opening SRB, but if you stop by the brewery, they would love to tell it to you in person.